Following the tragic events at the Fukushima Daichi nuclear facility in northern Japan, Germany recently announced its plans to close all of its nuclear power plants by 2022. On May 31st, citizens of Belfast, Ireland celebrated the centennial of the day the R.M.S. 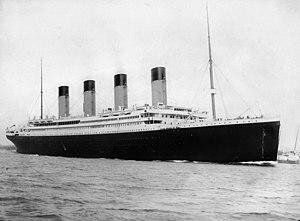 Titanic was launched, stressing the local wisdom that "She was fine when she left here." Alliteration can help establish a pattern. So, for that matter, can a calendar. On Saturday night, April 30, I took a break from attending the 54th San Francisco International Film Festival and headed over to the San Francisco Conservatory of Music. 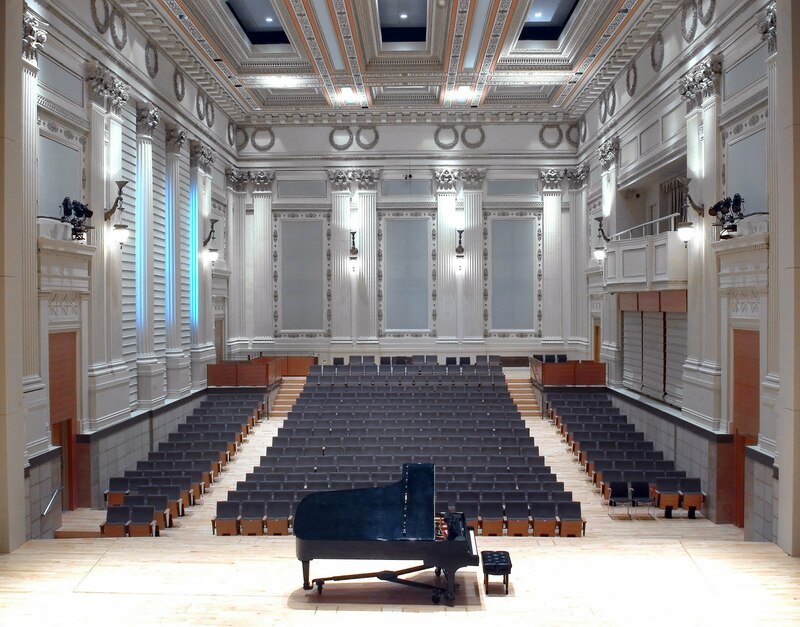 Since the Conservatory moved to its new location at 50 Oak Street, I have fallen head over heels in love with the acoustics in its 450-seat Caroline M. Hume Concert Hall (click here for a virtual tour of the facility). With Andrew Mogrelia conducting the Conservatory Orchestra, the program began with three selections from Wagner's Ring cycle: "Entry of the Gods into Valhalla," "Siegfried's Rhine Journey," and "Siegfried's Funeral Music." The second half of the program was devoted to Sir Edward Elgar's beautiful Enigma Variations (which I first heard in the 1960s at a performance by the Royal Ballet). As a warm-up to the San Francisco Opera's presentation of the entire Ring cycle in June, I was particularly eager to hear how Wagner's orchestral selections would sound in this hall. I was not disappointed. The acoustics in the Conservatory's Concert Hall are much brighter than the sound in San Francisco's Louise M. Davies Symphony Hall. The youthful members of the Conservatory Orchestra are often playing large orchestral pieces for the first time in their career. The result was not just thrilling. Thanks to Mogrelia's work on the podium, I was able to hear shadings that are often overlooked in a fully-staged operatic performance. Bravo! 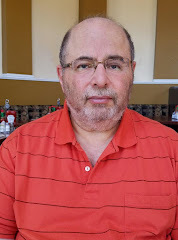 On Thursday, May 26, I headed over to the Jewish Community Center of San Francisco, where the music critic for the San Francisco Chronicle, Joshua Kosman, was moderating a panel discussion entitled "Wagner Through A Jewish Lens: The Enigma of Wagner's Genius and Anti-Semitism." He was joined onstage by Randy Cohen (who wrote The Ethicist column for The New York Times Magazine between 1999 and 2011) and Deborah Lipstadt, the Dorot Professor of Modern Jewish and Holocaust Studies at Emory University and author of Denying The Holocaust. To set up the discussion, Kosman aired film footage taken during a performance of Wagner's music at a concert in Israel, where an elderly member of the audience was using a grogger to disrupt and try to drown out music written by a notoriously anti-semitic composer. The ensuing discussion highlighted the fact that great music is not always composed by great people and that many a great person has been incapable of composing great music. Some Holocaust scholars have tried to draw a direct link between Wagner (who died on February 13, 1883) and Hitler (who was born on April 20, 1889). One of the motivations for this panel discussion was to explore whether, by purchasing tickets to the Ring cycle, people were supporting or buying into Wagner's anti-Semitism. While care was taken to stress that for Jews who had survived the Holocaust (where Wagner's music was sometimes broadcast in concentration camps), being forced to listen to Wagner's music might be cruel and traumatic, some basic facts about the Ring, racism, and Wagner's music were conveniently glossed over. Suppose a Jewish child who had been imprisoned in a German concentration camp was five years old in 1945, when World War II came to an end. Today, that person would be in his late 70s. His older siblings might be in their 80s or 90s. In order to attend performances of a Ring cycle, these people would either have to be (a) fairly affluent, (b) in good health, and/or (c) devout Wagnerites. If anyone actually picks up the score to Wagner's Ring cycle, I doubt he will find a single reference to Jews. There are lots of clef signs, half notes, and orchestral markings. But nothing identifiably Jewish. If one wants to talk about racism in the Ring, it would be wise to remember that the clans identified in the Norse and Germanic mythology upon which Wagner based his tetralogy were the Volsungs, Nibelungs, and Gibichungs. There was no mention of Jews. While many people who protested anti-Semitic films such as The Passion of the Christ may have satisfied their curiosity about the film by purchasing tickets for one of the other movies being screened at the same cineplex and then walking into the theatre showing The Passion of the Christ, the rationale that by doing so they were hurting Mel Gibson's income stream is a spurious one. Besides, to do that with the Ring cycle requires a much larger financial outlay. My own take on any perceived "moral dilemma" is that while some Jews may look for signs of anti-Semitism in Wagner's music to match the vitriol contained in his published writings about Jews, the real question should be: How much righteous indignation, assumed umbrage, emotional baggage and wounded ego do certain Jews bring to their operagoing experience as a means of drawing attention to their own neuroses (rather than a composer's musicodramatic intentions). The bottom line is simple: Is the enjoyment and appreciation of Wagner's music diminished by people who have no idea that Wagner was an anti-Semite? I don't think so. A San Francisco culture vulture who wanted to draw a direct line between Wagner and Hitler would do best by going straight from the 1:00 p.m. performance of Gotterdammerung at the War Memorial Opera House on Sunday, June 26 to the closing night feature of Frameline's 35th San Francisco International LGBT Film Festival. That way he could go from one conflagration (Brunnhilde's Act 3 immolation scene) to another (the Nazi book burnings that took place on May 10, 1933). John van Druten's 1951 play, I Am A Camera. Joe Masteroff, John Kander and Fred Ebb's 1966 Broadway musical, Cabaret. The 1972 film adaptation of Cabaret starring Liza Minelli, Joel Grey, and Michael York that was directed by Bob Fosse. The film adaptation of Christopher and His Kind does a superb job of capturing the smoky homoeroticism of Berlin's underground society in the 1930s as well as the horror of real (rather than imagined) anti-Semitism as it began to erupt in Germany. There is a much greater sense of Isherwood's ability as an outsider to "pass" in German society while some of his friends and students were targeted by the Nazis or quietly disappeared from sight. The film also offers a more honest description of how hunky young Germans from starving families had no qualms about selling their sexual favors to rich homosexuals as a means of getting money. Later, as they enrolled in the Nazi party, they had no moral problems turning on the men whose beds they had shared with such lust and wild abandon. For those familiar with the musical Cabaret, watching Christopher and His Kind will be a fascinating experience as they see the inspirations for characters like Sally Bowles and Fraulein Schneider come to life. Imogen Poots is beautifully untalented as Jean Ross/Sally Bowles while Issy van Randwyck delivers a poignant portrayal of Isherwood's landlady, Fraulein Thurau. Lindsay Duncan portrays Isherwood's mother, Kathleen Isherwood, as a rather rigid Brit while Perry Millward gives a fascinatingly dysfunctional performance as Isherwood's mother-fixated younger brother, Richard. There is plenty of eye candy as well. Alexander Doetsch appears as Caspar, Isherwood's athletic boyfriend who later joins the Nazis. Douglas Booth is fascinating to watch as Heinz Neddermayer, a street cleaner whose puppy dog appeal is irresistible to the English author. Pip Carter appears as W. H. Auden with Tom Wlaschiha creating the character of Gerhardt Neddermayer, the aspiring Nazi who is Heinz's older brother. Exceptionally strong performances come from Iddo Goldberg as the wealthy Jewish owner of a department store (Wilfrid Landauer) and Toby Jones as the tired old queen and memoirist, Gerald Hamilton, who suggests that Isherwood get a room at the boarding house where he lives.